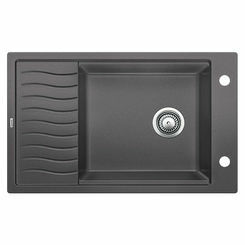 Looking for a 30-11/16" x 19-11/16" undermount sink with a drainer for your kitchen? Do you want it to be useful and stylish? Then it sounds like the Blanco 520857 is what you want. 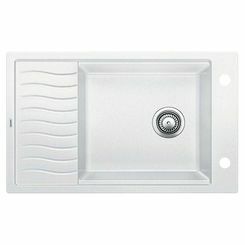 This Blanco 520857 is a Silgranit II medium bowl sink (with a drainer) which belongs to the Precis Collection. It comes with a cafe brown finish. The bowl is 7-1/2 inches deep. Constructed of 80% solid granite, this medium bowl sink is incredibly durable and heat-resistant. 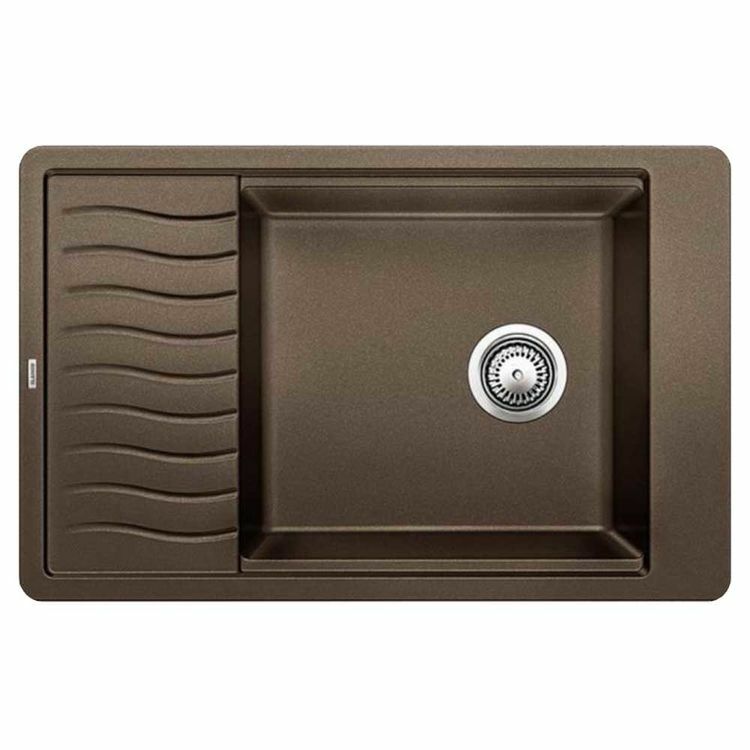 When exposed to heat, it will not fade in color and it can accommodate hot pans or pots - resisting heat up to 536 degrees F. Also, this cafe brown sink is resistant to stains and scratches and to all household and alkali solutions. 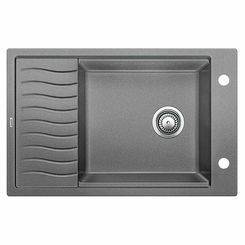 For installation, it requires an outside cabinet size of 27" (drop-in) or 33" (undermount). The drain is purchased separately. Undermount clips are included in the package, along with a template with approximately 1/8 inch reveal. This Blanco 520857 is ANSI Z124.6-97-approved and IAPMO/UPC-listed which means that it has a design that is thoroughly evaluated for safe and sanitary plumbing systems. It is covered by a manufacturer's limited lifetime warranty. Please see the specification sheet for more details about this product. Founded in Germany, Blanco has developed to be one of the leaders in manufacturing kitchen sinks and faucets. They humbly and passionately elevated the standards for luxury faucets, sinks, and decorative accessories.